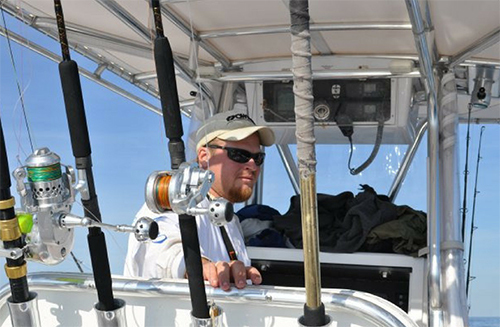 I’ve been in the fishing industry for over 26 years and I’ve seen a lot of different fishing products hit the market. Some good, some not so good and even a few that were crazy. The question is whether good, bad or crazy do they work? When I heard about Plano Rustrictor; “l thought will it actually work as well as it’s supposed to?” Guess what it does! Rustrictor begins working the moment the box closes. Once closed the stowaway’s interiors atmosphere changes and is filled with VCI vapor. VCI ions attract to metals creating a wall of protection that is only a few molecules thick and stops rust before it can start. Rustrictor always protects and never leaves a film, residue or odor on the surface of tackle. Gone are the days of a spray-on/in solution that lets fish know something’s amiss. 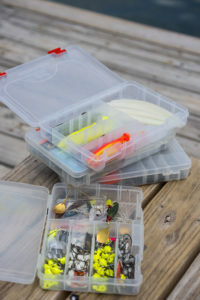 With the protection built right into the Stowaway box, there is no maintenance, no worry about having the dividers in place and more wasted money on rusted and damaged tackle. And the system lasts for years! I love to know that as a full time saltwater guide my hooks, wire leaders and hard baits are not going to rust in my stowaways. As you know seasons change with that the lures you use change to. Nothing is worse than reaching for a lure you haven’t used in a while and the hooks are covered in rust. And as a guide you can imagine what my clients think about my gear when I hand them a lure with rusty hooks. No worries now; six hours, six days or six months later that lure is rust free!